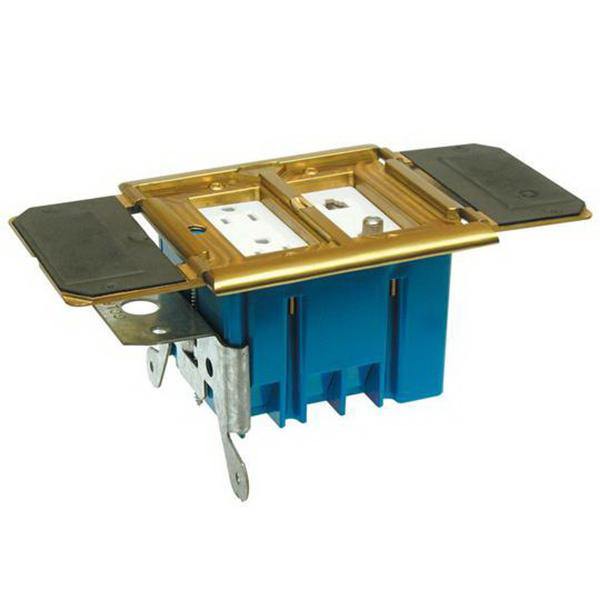 Thomas & Betts Carlon® Adjust-A-Box™ 1-Gang Adjustable floor box in brass color, is suitable for residential and home office applications. Residential floor box has dual-service capabilities. Rectangular floor box has depth of 3-inches. It has 34-Cubic-Inch capacity. It comes with cover, dual voltage divider, new and old work brackets, green ground screw and mounting hardware. Adjustable floor box is UL listed.